NOTE: This pattern is no longer available. 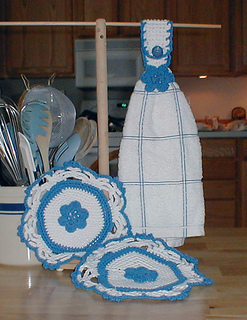 Published way back in 2001 – This set was a popular purchase on my Crochet Legacy site. It hasn’t been available for MANY MANY years. I thought it would be a great free pattern. 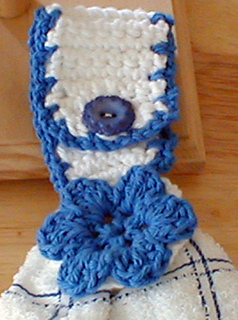 Made with Worsted weight cotton, this set works up quickly. Makes a great gift too!